Before you head out on your Norfolk craft beer adventure, be sure to fuel up with a hearty brunch in Norfolk’s hip and historic Ghent neighborhood. Grab a bite to eat at The Green Onion and then stroll down Colley Avenue for a cup of java at Elliott’s Fairgrounds Coffee to jolt you into gear. From here head over to Smartmouth Brewing Company in the up and coming Chelsea neighborhood, a short bike ride from Historic Ghent. 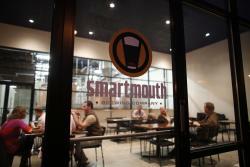 Smartmouth has been a pillar of the Norfolk beer scene since opening in 2012 and visitors can enjoy their locally crafted brews in its cozy tasting room or on a free tour of the facilities. The brewery is a family and pet friendly hangout offering a massive chalkboard wall, games and activities. 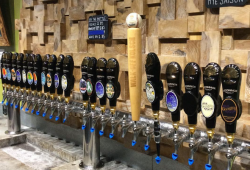 While in the neighborhood, be sure to stroll over to The Birch, a bar that specializes in artisanal, crazy-hard-to-say beer and cheese, which has recently been named a Top 5 beer destination in the country. Overwhelmed by the impressive selection? 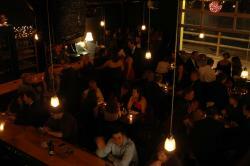 The knowledgeable and passionate crew at The Birch will guide you through their diverse offerings. Take advantage of their equally eclectic cheese selection, or head around the corner to Tortilla West and the Torch Bistro for a bite to eat. Keep an eye out for neighborhood newcomer Benchtop Brewing to open its doors to the public in late 2016! From here, head to Bold Mariner Brewing Company to get a taste of their selection of traditional yet bold, quality craft ales. The brewery was founded by active duty navy service member Michael Stacks as a transition from his Navy career. Come by the brewery to meet Michael, you will be sure to find him either helping in the tasting room or working hard in the brewery. Hungry? Check out Small’s Smokehouse & Oyster Bar or dig into traditional pub grub at Peck & Pour. Next up, be sure to visit Coelacanth Brewing, a family owned and operated brewery near the buzzy 21st Street thoroughfare in Norfolk’s Ghent district. The owners painstakingly renovated a derelict old warehouse and transformed it into a gathering place for locals and visitors to grab a drink and a venue for local artist and musicians to share their talents. 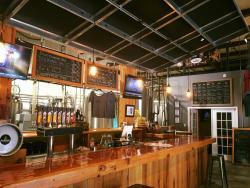 Notable brews include their Jazz Age Oatmeal Stout, CBPB British Pub Beer, and Enefkay IPA. Grab an appetizer at nearby Luna Maya, or head on to the next tasty stop at Rip Rap Brewing Company. The coziest brewery on the scene, Rip Rap is the brainchild of ‘Liam Bell and Ben Mcelroy, who met at the Coast Guard Academy and were both stationed on the same cutter. After departing the ship, they picked up homebrewing beer as a hobby that quickly grew into a full time production. If on tap during your visit, be sure to check out their Breakwater Cream Ale, Shakedown Scotch Ale, Fresnel Red IPA, and Wandering Sloth Saison. For live music, games and plenty of space to kick back and unwind, look no further than longtime Norfolk beer hangout, O’Connor Brewing Company to keep the good times rolling. Kevin O’Connor brewed his ales in his backyard in 2009 and his first big batch on St. Patty’s Day 2010. Since then, O’Connor Brewing has crafted nearly a dozen types of brews and after a major expansion in 2014, O’Connor Brewing Co. tripled its production and is now distributed throughout all of Virginia and parts of North Carolina. Their huge tasting room features a 24-tap bar, game room for shuffleboard, corn hole, and a VIP mezzanine with a private bar. It’s a place that is as unique and impressive as the beers they make. It’s a fun, family-friendly environment, and kids and dogs are always welcome. Taste some of their top sellers which include Green Can, Norfolk Canyon, and El Guapo IPA. To round out your tour through Norfolk’s craft beer and artisan scene venture out to the city’s blossoming arts and cultural corridor, the NEON District, and check out our local talent on display with exhibitions at Work |Release or onstage at Push Comedy theater. Coming soon to the NEON District is Bearded Bird Brewing, a collaborative brewing co-op that will serve as a shared home for local homebrewers. What better way to explore Norfolk’s food and craft beer scene than by a guided tour? Look no further than Taste Tidewater Tours operating group. During their Norfolk craft brewery tour, guests will be guided through local brewery’s offerings in the comfort and safety of their private Executive Coach shuttle. Tours generally last at least four hours, include three stops and provide behind-the-scenes information (and access when available) to local breweries and brewpubs. Guests will learn about the evolution, styles and production of beer. Tour guides will also explain how to select and pair beer with food.